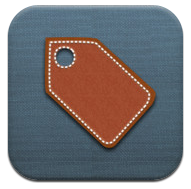 Home Unlabelled Apps Gone Free! I downloaded Apps Gone Free a couple of months ago after learning about it at a conference. Apps Gone Free informs you on a daily basis of a dozen or so apps that have "gone free" for a certain amount of time. Some apps are free for a day, some for several days. I didn't pay it much attention as it seemed to offer nothing but gaming apps. Lately, I have started noticing some really great apps being offered that could be used in any pK-12 classroom. Yes, the daily offering will contain apps that don't have much educational value, but I am finding more and more great offerings pertaining to education. This is one app that I look forward to receiving notifications from on a daily basis. Download it today and see what you think.